The i-gum allows you to remove your chewing gum in seconds. It has a lance which has a special built in gas powered burner which instantly vaporises the chewing gum in conjunction with the unique environmentally friendly cleaning chemical. A robust back pack is worn by the operative and this contains the LPG gas, unique gum removal chemical, rechargeable battery, blower and pump. The gas is blown into the burner lance using a small fan, this ensures that the flame is not blown out in wind to give continuous, un-interrupted use. In addition the chemical is pumped down into the burner where it is turned to steam. When this chemical is turned to steam and comes into contact with chewing gum it breaks down the gum instantly, dissolving it into a non sticky liquid residue. 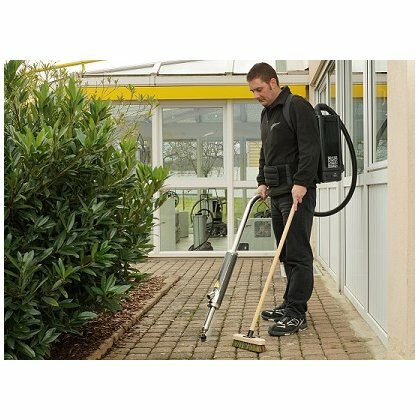 This residue is simply swept away with a brush, when it rains any residue left behind will simply wash away leaving the area totally gum free. 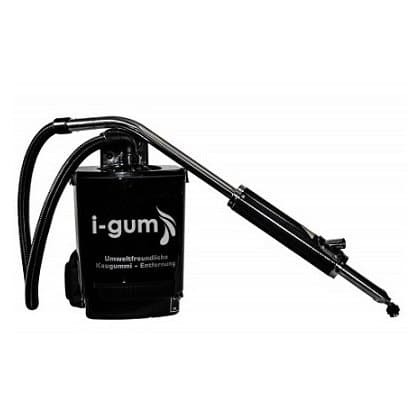 The i-gum offers a great alternative to previous methods of dry steam cleaning which was also a lot slower at removing the gum or high pressure washers. Both of these old techniques were noisy and have trailing water hoses & electrics meaning they had he potential to be unsafe. 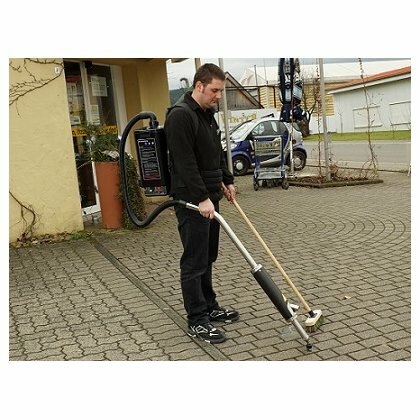 The i-gum has no trailing hoses or trailing cables and is extremely quiet when in use. It removes gum incredibly quickly and leaves no mess.